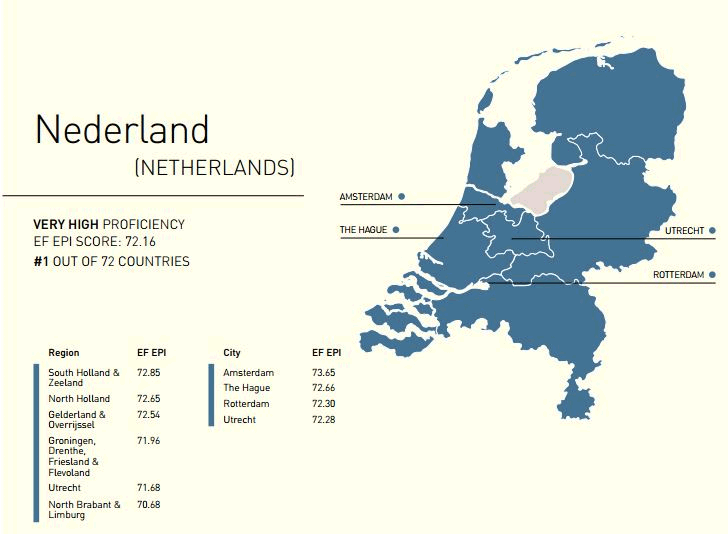 The 6th annual EF English Proficiency Index which ranks countries by the English skills of its inhabitants was released this week. For the first time, the Netherlands has come up on top after years of playing second fiddle to Nordic countries like Sweden and Denmark. “Our research has shown that better English correlates with higher incomes and better quality of life,” the report reads. Almost a million people in 72 countries were surveyed. In nearly all of them women have stronger English skills than men. The regions performing the best in the Netherlands were South Holland, North Holland and Gelderland-Overrijssel – the area where Wittenborg University of Applied Sciences’ is located. 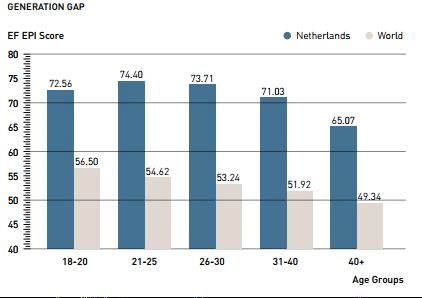 The Dutch scored high across all ages, particularly young adults in the 21-25 age bracket. Men fared slightly better than women. The Netherlands got an overall score of 72.16 – a whole point higher than second-placed Denmark (71.15), followed by Sweden (70.81), Norway (68.54) and Finland (66.61). Singapore jumped from 12th to 6th place this year, overtaking countries like Luxembourg, Austria, Germany and Poland. The Middle East and North Africa has the lowest level of English proficiency in the world. “English is becoming a basic skill for the entire global workforce, in the same way that literacy has transformed in the last two centuries from an elite privilege into a basic requirement for informed citizenship. On the individual level, English has the potential to generate opportunities, strengthen employability, and expand horizons,” the report comments.